The modified Jesse James Hideout is a rustic creekside luxury cottage home fronting the golf course. Granite counter tops, natural stone and hardwood floors, and ornate ironwork lighting make this home the perfect summer, winter or forever getaway. Fully landscaped, furnished and ready to move in today! All hideouts share the common ranch amenities and equity ranch membership. The Double L Ranch affords the most discerning real estate buyers an opportunity to enjoy a true western paradise carefully developed to become one of America's most desirable sporting ranches. 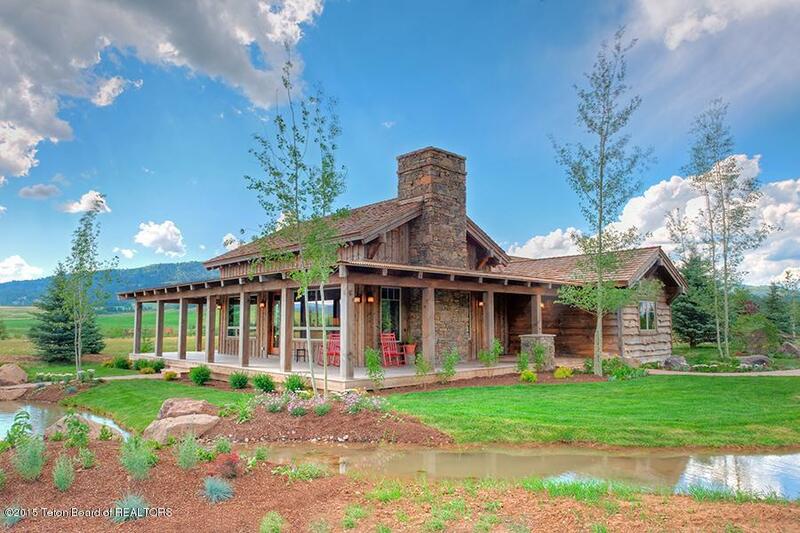 Listing provided courtesy of Livejacksonhole of Jackson Hole Real Estate Associates, Llc.